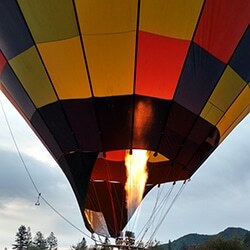 If you’re a first-timer to go on a hot air ballooning ride, it’s understandable that you feel a little hesitant. But if you decide to fly with Balloons Above the Valley (BATV), you’ve made the right choice! Not only do we ensure your safety from the moment you hop into the basket to the time you make your landing, but we also guarantee you lots of enjoyment — whether you’re in the sky or on the ground. Still flying high after 40 years in the business, Balloons Above the Valley is, no doubt, the pioneer of hot air balloon flights in the Napa area. What we basically do is to make our guests’ dreams of flying over the gorgeous Napa Valley landscape come true by sending them to the hot air balloon during sunrise. This is pretty much BATV’s basic tour package. It is a great way to get oriented as to how to ride the hot air balloon, how the balloons are inflated, as well as how BATV keeps its customers happy. Before leaving for the launch site, you shouldn’t do this with an empty stomach. Enjoy the freshly prepared and hot breakfast consisting of baked goodies from Sweetie Pies and Starbucks coffee. After that, you’ll be taken to the launch site where the balloons are inflated. Daybreak is the time of the day where the climate is cool and the winds are stable. This is ideal for hot air ballooning. Once the balloon has been fully inflated, you’re ready to hop in the basket. Your excitement slowly but surely escalates as you’re lifted slowly from the ground. Before you know it, you and the other guests are peacefully floating above the picturesque Napa Valley landscape — well-manicured rows of grapevines, and the lush rolling hills that make this wine region world-famous! You and the other guests will then be led to a fantastic seasonal brunch with sparkling wine — which is a sort of a tradition after the hot air balloon flight. This is also a great opportunity for you and the other guests to talk about how wonderful the flight has been. This is similar to the Sunrise Balloon and Champagne Brunch, with a pre-flight breakfast, sunrise hot air balloon flight, and a post-flight brunch with a sparkling wine. The difference is that this package also has a wine tour included. You and other guests will be touring 4 to 6 wineries. BATV’s tour company partner Napa Valley Wine Country Tours will take you to wineries that will appeal to you and the other guests. This will give you the opportunity to taste premium local wines from smaller boutique wineries. Enjoy the picnic-style lunches against the perfect scenery of the vineyard. Ride with style as the Napa Valley Wine Country Tours’ fleet of limos and limo buses will take you to several wineries, and the chauffeurs will entertain and educate you by sharing their knowledge about Napa Valley wines and wineries. This two-day package is specifically designed for tourists travelling from San Francisco’s downtown to the Wine Country in Napa Valley. Once you board the limousine, you will enjoy an onboard breakfast (with mimosa). You will also have the opportunity to view the Golden Gate bridge as you leave San Francisco and have time to take pictures of this iconic bridge. As you make your way to the Wine Country, you will visit two wineries in Napa and two in Sonoma. Activities include visiting the vineyards and wine production, as well as wine tasting. Enjoy a delicious picnic lunch at one of the wineries, and be sure to take the opportunity for an olive oil tasting. On the second day, you and the other guests will go on a sunrise hot air balloon flight, just like during the Sunrise Balloon Flight and Champagne Brunch. After the champagne brunch, you will have the option of doing some last-minute shopping and/or sightseeing before leaving Napa and going back to San Francisco. If you decide to do so, our chauffeur will drive you to either the Oxbow Public Market or the Napa Valley Premium Outlets in the early afternoon, and then afterwards he will drop you off at the ferry terminal in Vallejo where you will take the ferry back to San Francisco downtown. If you otherwise want to go back to San Francisco following the post-flight brunch, our chauffeur will drop you off at the ferry terminal then. Even if you’re going to have your first hot air ballooning ride in California, Balloons Above the Valley assures that you will feel safe and at home right away. This is something we have done for many first-time riders. 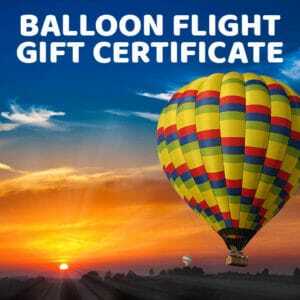 Your first hot air ballooning experience with BATV is guaranteed to make you want more!